May 1: Application is Available. Applicants must complete both the AMCAS application and the general application for admission to UMKC. The AMCAS application and the General Application for Admission to UMKC must be submitted by this date. The last MCAT score accepted for initial application review is the June MCAT. Letters of recommendation must also be submitted through the AMCAS Letter of Recommendation Service by this date. August 15: AMCAS Transcript Deadline. All transcripts must be received official to AMCAS by August 15. If transcripts are not received by AMCAS prior to August 15 the application will not be processed. September 1: AMCAS Verified Deadline. The AMCAS application must be submitted and verified by this date. AMCAS applications submitted by August 1 but verified after September 1 will be considered late and reviewed with other late applicants on a space available basis. Upon verification, applicants will be sent an invitation to complete the supplemental application (UMKC School of Medicine portal) with Technical Standards and final submission. September: Offers to Interview are Extended. Applicants selected for an interview or placed on the interview waitlist will be notified electronically. Applicants not selected for an interview will also be notified electronically. September – October: Interviews Take Place. All applicants selected for interview must select and confirm a date for interview. 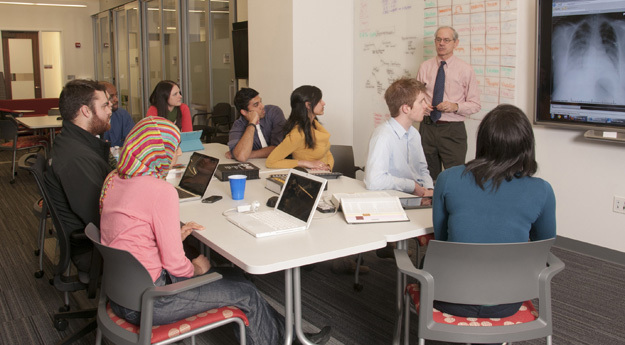 All applicants must interview in-person at the School of Medicine. Phone interviews are not permitted. October: Offers of Admission are Extended. Candidates being offered admission will be notified electronically of their acceptance to the program. Students placed on the alternate list or denied to the program will also be notified at this time. All admission decisions are communicated via email. Admission decisions are not communicated via phone. All decisions of the Council on Selection are final. Students who have been offered admission and who have accepted the offer of admission will matriculate to the School of Medicine in January.